Ever needed to focus your attention with a meditation Mandala? Well, I do. My last post was October 2015 and since then I’ve moved. In November to be exactly. That meant that since October not much focus was put on my online money making business. And that has to change. Don’t get me wrong, I reached a very major goal, buying an appartment and and moving to the new address. And sales in November and December were very good. So I shouldn’t complain. But this is a new year and a new goal has to be set. Sales this month are sluggish and half way this year I want to double my sales. That means more blog posts and more designs. And a better upkeep of the stores I own. 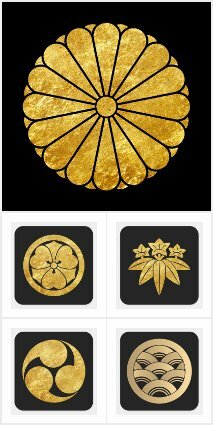 For instance I added a new Japanese Mon and Kamon store to my Dutch Spreadshirt site. I called it Dejima. If you do meditation, one way to focus your attention is by using a meditation Mandala. Don’t ask me how, but I like the designs of Mandala’s. I started with a simple and geometric one. 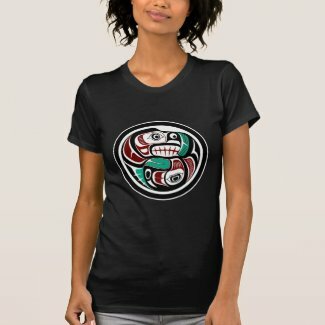 My Haida Formline designs keep selling well and I added a new one which was waiting to be finished for months. It is a theme of my own as is the design. A sea otter chasing a salmon. Prey and predator in a Yin and Yang symbol. Islamic geometric design keep popping into my head. I do want to make more of them. They look pretty and they are so easy to apply on products. This is a Moroccan design from a picture of tiles. Doubling my sales by July this year is ambitious together with my day job. If I manage then I know I’m on the right track. A good resolution for 2016. 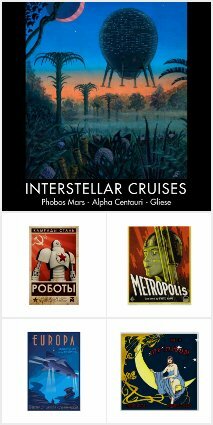 A page is added with some great posters in a vintage retro space art theme. I try to find at least 50 good ones, because Zazzle is a numbers game. You probably heard that often. It is all about getting found. Either by having a lot of products designed by yourself. Or promoting a big bunch of very good designs made by others and making money as an affiliate. When I started with Zazzle I was thinking in tens of products with a design. Later I realized this wasn’t enough, sales were and still are very sporadic. End of 2012 I set a goal of 400 products. That really didn’t help much. Now I’m convinced I have to think in the thousends. Which means heavy use of templates in Zazzle in order to get a 100 products published in one go. 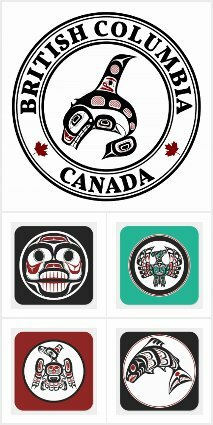 For the affiliate program I want to create a couple of page of designs I like. My guess is that I can get away with about 500 designs of other people on this website, maybe a thousend. Any more and people will overlook most of them anyhow. My second page has a vintage retro space art theme. I’ll try to increase the number up to a 100.
last week I also finished a new Barcelona tile design. Again I think it succeeded pretty well. I was able to publish about 80 products in one go, so I still have to work on my templates. It is still far behind the numbers succesfull Zazzle sellers have published. They count in the tens of thousands. Of one person I knows she’s working full time on her Zazzle store. Every day one design, put on about a hundred products. My production of designs and products has increased considerably and the affilliate link pages have begun. Next project will be Pinterest. To showcase my designs and to promote other people designs. One way to make a buck is to market cool iPhone cases from other Zazzle stores. This is done by means of the affiliate program of Zazzle. 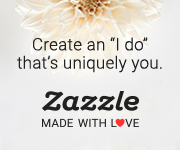 In your Zazzle account you’ll find a unique number which you add to the link of the product on your website. Or better. Log on to Zazzle, find those cool iPhone cases and use the “share” button to retreive the URL/HTML-links with your affiliate code included. If you search on Zazzle you’ll see most of the design aren’t very well made, even though they are popular according to Zazzle. That gives you the opportunity to create a selection of cool iPhone cases which are both popular and well executed. I’ve put my selection on a seperate page on this website. Yet another solution is Pinterest. Here you can collect images and categorize them the way you like. Pinterest groups images (and other media) into “boards”. You can make a board for cool iPhone cases with a retro space theme and let them link to Zazzle with your affiliate code. On Youtube there are plenty tutorial how to create a board. I’ve no Pinterest account myself yet, but I can see the potential for showing of affiliate products or your own products. Anyway, I just started with this affiliate business and I probably have to create a whole bunch links and images with my affiliate code before I even make a dime. And I have to start to get some traffic to those links.